What decision can you make today that will affect your business in 20 years? If you’re an entrepreneur or business manager you’re probably always thinking about ways to gain an advantage over the competition. If you’re not, you’re likely getting passed. I’m telling you that one advantage you can gain over the competition is long-term thinking. If you’re thinking out 10+ years you’re making decisions that few others are. I wrote about this in a previous post when country singer Eric Church recorded a music video, but didn’t release it for ten years…on purpose. Now, some of the most successful businesspeople have often thought out years in advance. I read about James J. Hill. He, unlike most other railroad barons of the time, thought long-term. He invested his money into making strong track. He worked tirelessly to grade his lines so that in the long-term he would have the most efficient track. It’s so easy to get caught up in short-term thinking. Trying to get sales for the next month and the next quarter. And sometimes that might be necessary, but it almost always cuts into long-term success. 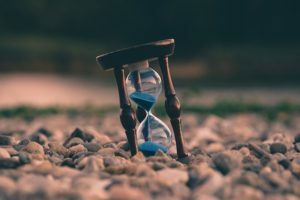 If you’re curious about how you can change your thinking from short-term to long-term here are some of my favorite tips. Short-term thinking can lead you to focus on the wrong things. Now, I’m not saying that this month’s rent isn’t important, but if you’re always making decisions like that you’re going to be stuck in those same situations for the long-term. Core values really aren’t things you create. They are part of you. You have to discover what’s most important to you. For example, being on time or being kind could be core values. Being close to your family is another possibility. Things like that. Things that are most important to you. Take some time to think about what you value most. Then talk to a few people really close to you that you trust to tell you the truth. Ask them what they think your values are. If it does align well you’re likely making a long-term decision. Visions are what you want to happen in the long-term. Some of us are lucky and we see what others are doing and we think, “That would be a great result in life.” That’s an example of a vision. And it’s not a bad way to go about finding your vision and living your life. Humans are great mimics. We look at others and mime what they’re doing. That includes work and family and success. If you don’t know what you want to be then look at other people for examples. Then see if any of the visions align with your core values. Look for things you would do even if you weren’t getting paid. When you find it you’ll be in a position to make decisions based on that vision and you’re thinking long-term. Serendipity is one of the great things in life. Look back five years and consider how much your life has changed. Visions are about being in control, but not all of life is something you can control. But too many of us are opposed to serendipity. We avoid change because it’s uncomfortable. And some change will not be pleasant or good, but a lot of it could be. Kids are great with serendipity. They try new things. They aren’t afraid about what might happen. What does this have to do with long-term thinking? When you embrace serendipity you embrace the future. You accept that the future will be different than today. You’re not always living for the past. Businesses have gotten really good at getting us to purchase things. Most of the time it’s totally fine, but if you feel buyers remorse on occasion it’s at least worth considering the 24-Hour Rule for purchases. This means that if you want to buy something simply put it in the ecommerce cart. Then come back the next day. If you’re still feeling good about the purchase then hit “Buy” and everything is good. What you’ll find, though, is that after the immediate rush of dopamine wears off that you don’t need to buy as often as you think. What seems important in the moment doesn’t seem so important just a day later. Lots of us do think about the long-term. We sent long-term goals. For our work and for our personal lives. We set these goals way off into the future. One of the reasons those things often don’t work out is that we don’t bring the long-term goals back to daily habits. I’m a big believer that you are what you do everyday. The only way you’re going to make long-term change is if you form a habit today and stick with it. Make a goal. Create the habit. Then keep your head down and don’t come up for air for years. One of the things that can be tricky in the business world, especially the online business world, is analytics. We look at our daily website traffic. We look at things like social media shares and engagement. All this very short-term stuff. Analytics are great, but I like looking at analytics every quarter. I like comparing this month versus the same month last year and even the year before that. You can start making quick decisions, jumping from strategy to strategy if you look at the wrong analytics. Don’t jump to too many conclusions in the short-term. Coming back to the old 24-hour rule for this one. If something bad happens, take 24-hours before you make any decisions. Even if it’s a total crisis. Give yourself some time to think clearly about the next move. Even in today’s social media world people will generally give you 24 hours before expecting some kind of decision. You are what you do everyday, but you’re also who you hang with. If you’re with people that do the opposite of what’s on this list then you’re going to become just like them. Surround yourself with the people you admire and want to become. Or those that want to become the same type of person that you want to become. Time is incredibly valuable. Not even the rich can buy a ton of it. It’s the most vital asset we have. What I mean by this one is that you’re thinking long-term if you make decisions based on time. If you really want something consider how much time you’re putting into it. If it’s not enough you’re likely not going to hit your goal. Also think about your priorities. You might be spending time on things that really aren’t important to you. It may feel like you’re doing the right thing. Like you’re busy. But that’s a short-term feeling. We’ll end with one that’s a little out of left field. It might seem like a short-term thing to trust your gut on important decisions. Especially decisions about people. But your gut instinct has been building since birth. You’ve been mimicking and learning about people since you were born. Your gut is a powerful tool. It’s been built over the long-term. Go ahead and trust it. Long-term thinking can really be an advantage for you and your business. In today’s world it’s really easy to make short-term decisions. If you live for the short-term you’ll probably find failure. If you think five, ten or even several more years into the future and have patience you’re setting yourself up for success.